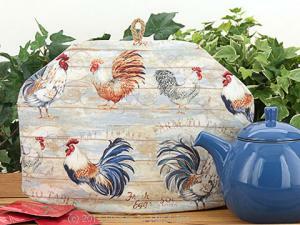 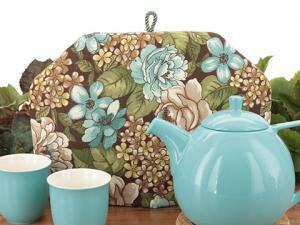 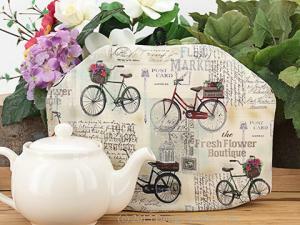 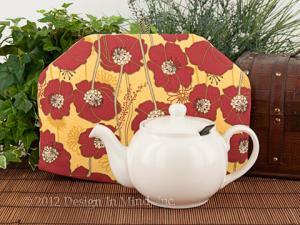 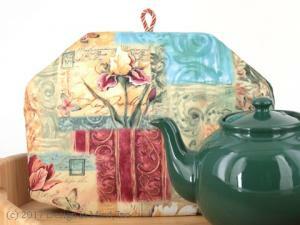 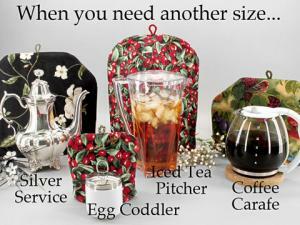 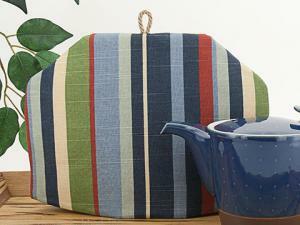 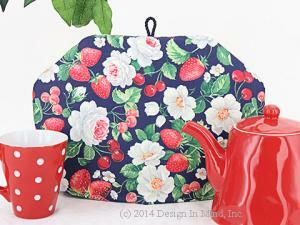 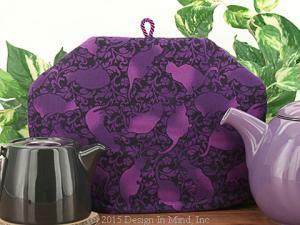 Tea cozies keep tea hot without constantly reheating the tea, as a tea warmer does. 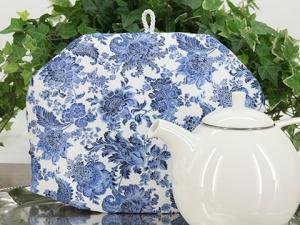 Warmers rapidly oxidize tea, causing the tea to become bitter within 15 to 20 minutes. 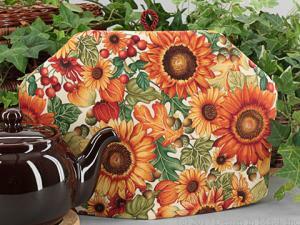 The Tea Quilt tea cozy minimizes air circulation and increases humidity around the teapot to slow oxidation and evaporation (heat loss). 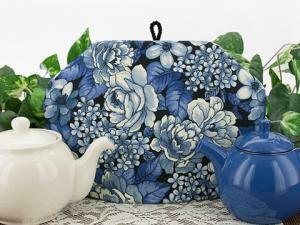 Tea stays fresh tasting for much longer! 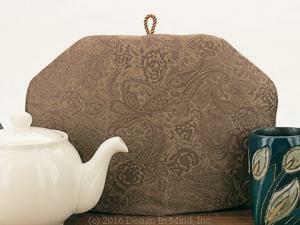 Muff or wrap around style tea cozies leave the spout and lid open to air circulation, which encourages both oxidation and evaporation, leading to bitter taste and more rapid heat loss. 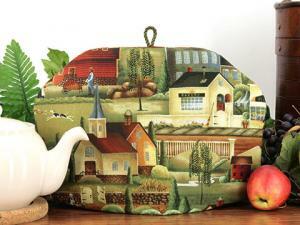 The Tea Quilt tea cozy completely covers the teapot, stopping air circulation and greatly reducing oxidation, protecting the quality of your tea and keeping it fresher tasting for a longer period of time. 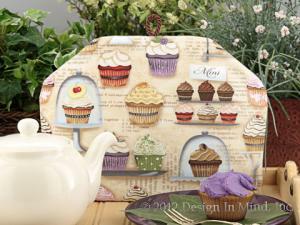 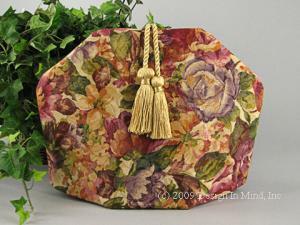 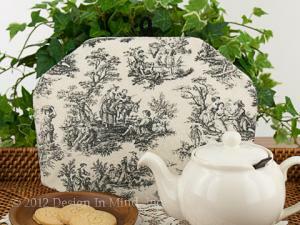 The Tea Quilt tea cozies are made in Minnesota and are available in over 300 fabric choices in the groups below. 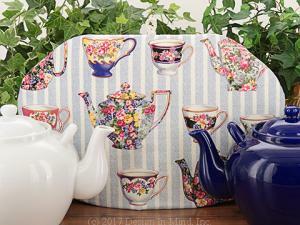 Click any group photo to help narrow your choices, or use the search bar above to look for a specific color or decoration. 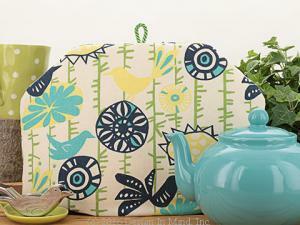 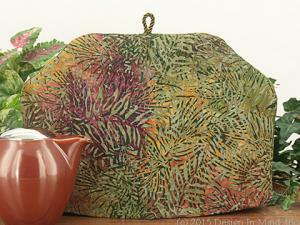 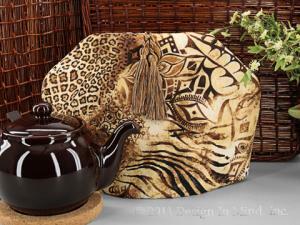 Contemporary tea cosies in abstract and geometric designs. 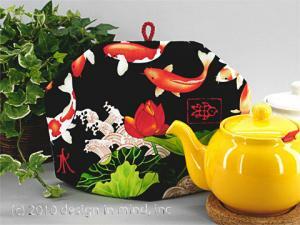 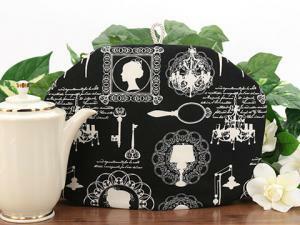 Tea cosies with leisure activity and hobbies as a theme.